Fahrenheit 451 | two men enter . . . Commissioned and ready long before he left us. Shortly after hearing the news of Ray Bradbury’s death yesterday morning, I was asked if I would be interested in writing a tribute/obituary. I passed on the opportunity. 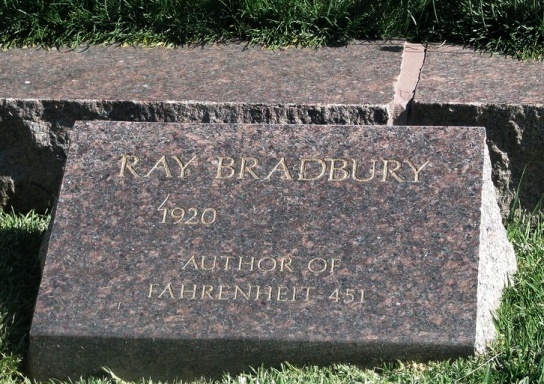 This was partly because my schedule would not permit me to quickly write and publish anything that would do him justice, but it was also because I hadn’t fully thought through what Bradbury’s legacy means.